Full CV received from a 10 year PQE Solicitor applying for a commercial solicitor role in London. I like to provide service to the highest standard. I used to have very high marks for essays. I worked in Legal departments of local authority and many large law firms. I work from 12 years old. Any salesmanship and last 4 years as store manager." Using LinkedIn to Headhunt and Recruit new staff – does it work? How long will LinkedIn last? Who knows? I imagine something else will come along sooner or later that does the same thing bigger and better. LinkedIn restricts certain access (eg contacting other people requires using up a limited number of contact credits) and I suspect another network will come along and do the same thing with free access and consign LinkedIn to the dustbin. You would probably expect me to write something similar to the information below as it is in my company’s interest for you not to go directly to candidates and instead ask us to help you recruit and get paid a wodge of cash. However LinkedIn has been promoted as the next best thing in so many articles and advice documents recently (including whole courses on how to use it to recruit) that I thought an article injected with a bit of reality and anecdotal evidence may be of interest. Here is a conversation I have on the phone from time to time. (For the uninitiated “Rec to Rec” stands for Recruitment to Recruitment – ie a recruitment agency specialising in recruitment of recruitment consultants. Its big business…). This is the reality of headhunting - companies surfing LinkedIn pretending to know who you are. I know of a few people who have been approached and so flattered by the fact that someone has expressed an interest in them they have joined a firm they would not otherwise have touched with a barge pole. Usually this is something they regret within a few months! We sent a recruitment consultant on a headhunting course a few years ago and it was fascinating. You spend about half the day learning how to get past the “gatekeepers” (these are receptionists, secretaries and anyone who answers the phone) and the other half of the time learning how to pitch a vacancy to the “target”. It is cold calling and sales at the best of times, and a thankless task. Most of the people you will speak to will definitely dislike you intensely and your chances of success are very slim. However if you are successful the rewards are good for recruiters – the usual fee for a headhunting placement is a payment up front of about £5,000 and then a percentage success fee on top. This can be up to 50%. After all the recruitment consultant (or salesman) is going to have to be very good to ensnare someone you may be interested in. 1. You have a good vacancy. 2. It is one that has a very limited pool of eligible candidates. 3. You are paying at or above market rates for the vacancy. 4. Your business has a good reputation and is one that people would want to work for and not run away screaming from. In these fairly limited scenarios it is possible to use headhunters effectively. I am sure that sometimes they are totally unnecessary; one of our local independent schools recently used one to recruit a new headmistress which to me seemed a complete waste of cash – surely a prestigious role like that advertised in the right places would attract a good range of candidates without needing to spend £000s of cash on a consultant? I started this article talking about LinkedIn and this is the link – if you use LinkedIn to approach potential candidates you are doing exactly the same thing as the headhunters do – approaching candidates as a cold lead after searching for them on LinkedIn and then contacting them to try and sell a job to them. Companies have started getting their HR departments to do this and I doubt very much if it has had much effect other than use up precious time that could have been spent more productively. After all most people who go into HR are not sales people. Most headhunters are sales people and spend years perfecting their skills. We recently had a law firm based in South London get in touch to ask for a locum conveyancing solicitor to cover maternity leave for 12 months. We sent a mix of CVs across and they requested interviews with a couple of property solicitors. However the introduction went quiet. Later we discovered that the firm had gone on a tour of LinkedIn, using up a considerable number of 'InMails' to contact locums advertising on the site and checking availability. I know this because a number of our locums checked back with me to see if it was the same company. None were available in any event to assist. I would imagine that you would need to be making about 30-40 similar connections before you found anyone who was vaguely interested and suitable in your role, whether locum or permanent. On LinkedIn this is an expensive exercise. Recruitment consultants are slightly different. On the permanent side we maintain a database of candidates who have been registered with us for some time, some of them up to 17 years. This is because we run a database of active and passive candidates. Passive candidates are the type that we generate most success from. These are candidates who may not have realised they are actually looking for work until you dangle a particularly interesting vacancy in front of them. 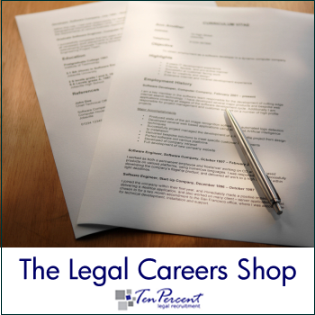 Whenever law firms send us vacancies we mail them out to any suitable candidates from our database and post the jobs onto a range of job boards and across our network. We get the vast majority of our placements from passive candidates getting in touch to say that they are interested in a specific role in a particular location. We spend considerable time and money advertising vacancies, but these lead more to new candidates than to placements the majority of the time. This is important because it is our stream of candidates onto our database that generates future business. As an individual employer you do not really want to be making the same investment of time and effort as unless you are recruiting 100s of staff this will be a pretty pointless exercise! LinkedIn is but one cog in our very large machine. You cannot use LinkedIn to get the same effect as we do. If you make contact with a candidate via LinkedIn then we think that they are often worried that their employer will find out you have been in touch and this will affect their career prospects. Chances are they will ignore your message. Advertising for jobs is very often only effective at introducing your brand to candidates rather than getting a vacancy filled. This means that they come to you when they are ready to make a move, particularly so for recruitment agencies. So yes you can use LinkedIn to try and source candidates, and we wish you the best of luck, but make sure it is just one small part of your overall strategy. Whilst you may get some results, you will probably stand more chance of success advertising in the Law Society Gazette and also on your own website (something a lot of law firms seem to forget to do or fail to keep up to date). Labels: LinkedIn - does it work? Very rare chance to take partnership in an offshore law firm. The practice undertakes a range of work that includes (properly funded) legal aid crime work - which is fairly lucrative without much competition, family and commercial. The crime work is a mix of mainstream general crime, some specialist complex matters and some military. The firm would be interested in speaking to anyone looking to run their own practice on a full time or part time basis. Not necessarily seeking an immediate buyout or purchase of equity. Opportunity to benefit from profitable levels of legal aid rather than punitive. Owner looking to move on to non-law related pastures new and move back on shore. Well established law firm in a stunning location offshore. Very similar law to England and Wales. Current partner happy to stay in situ to assist or sell outright. All options available for purchase - including working for the equity (very little upfront cash needed) and splitting the commercial matters away from the private work. This law firm purchase would particularly suit a crime solicitor looking to make a clean break and start again with an existing business already operating. The practice would also make a good branch office. Thriving local market for legal services with further expansion very possible. Location identified once a confidentiality undertaking signed. Contact us quoting the reference above.